Are you a sprinter or a marathon runner? Coffee helps, but ultimately it's not the answer. Ever get up at the crack of dawn to hit the gym, or get the kids ready, rush out the door, grab a coffee to go, land at your desk and feverishly bash out emails for a few hours until you're spent? That scenario is not uncommon and is synonymous with someone who treats their day like it's a sprint. All cylinders firing from the get-go, which can result in an afternoon slump and more seriously, adrenal fatigue. So, how should we be approaching our days in relation to energy expenditure? "The aim is sustainable energy management. I recommend you approach your day, week or month as if it is a long distance run. However, you also want to be able to call on energy reserves occasionally that allow you to sprint when it is essential," Jan McLeod, coach, mentor and nutritionist a Mad For Health told The Huffington Post Australia. "The key to improved and sustained energy management is in knowing what and how to apply the combined approach so you can reduce risk of fatigue, or at worst, exhaustion and a feeling of (being) overwhelmed." Think of it like running and it's easier to visualise. "A long distance run is focused on a medium to longer-term time frame. You are using low to medium intensity energy, and your goal is sustained energy, to leverage endurance and stamina to get through your day-week-month. A sprint is focused on the immediate short time frame, it is a burst of high intensity energy that is limited and cannot be sustained." 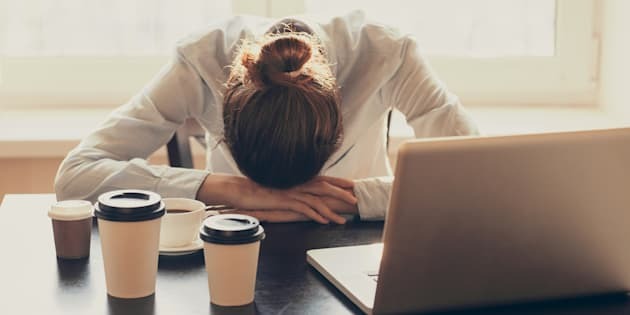 "If you approach your day like a sprint, you will risk reaching mid-morning or lunch time fatigue, or at worst if a sprint approach is the norm for you, beginning your day fatigued. 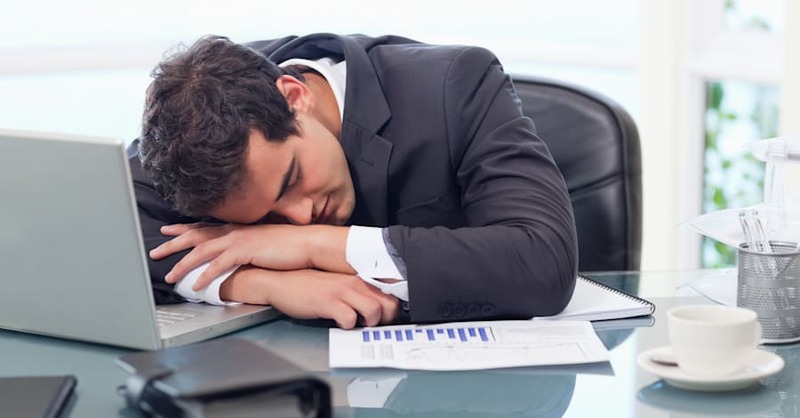 Once you are fatigued or at worst exhausted you reactivity to what is going on in your day increases undermining your ability to manage your day the way you had intended is impacted," McLeod said. The risks of ongoing fatigue includes reduced ability to concentrate, poor memory or distracted thinking and feeling more irritable impatient or anxious. "The feeling what I call 'in the bones tiredness' that is difficult to shake off and potentially feeling like you are caught in the headlights and cannot see the forest for the trees is common," McLeod said. Categories your to-do list into four categories: Do today. Do this week. Do next Week. Do this month. When allocating your activities, consider their importance and urgency. Identify items of low importance and low urgency and remove them from your list as they are likely distractions of little value to you. Identify the 2-3 items on your 'Today' list that are essential to do. Treat all remaining items as optional to do. To help manage the pace of your day, take scheduled breaks during your day. Create standing recurring appointment times in your calendar. Use the appointment times to block out time for pre-scheduled breaks and set up automatic break reminders. At the break, check in on energy levels. Give yourself a score out of 10. Ask yourself if you need to take action. Use energy levels below 5/10, to trigger action to change your pace. Aim for at least 3-4 daily breaks including mid-morning and afternoon, plus lunch. If you sit a lot I also recommend you get up and move for five minutes every hour. Aim to eat every 4-5 hours to support even and sustained energy levels. Be aware energy is used for 'doing' as well as 'thinking' and 'relating/interacting' with others. Trying to power through for your day without re-energising is like asking your car to run on no petrol or electricity. Limit foods high in added sugar or poor quality simple carbs and fats that play havoc you're your ability to produce and sustain even energy levels. Include foods essential to the body for producing and releasing energy. They include quality carbs (brown rice, oats, quinoa, sweet potato, legumes) and foods rich in the micro-nutrients magnesium and B vitamins (chicken, cold water oily fish, almonds, sunflower seeds, asparagus, green beans, bananas, whole grains, eggs, avocados and dairy). Your energy systems need oxygen to work. Good posture, taking breaks and moving regularly help your body to breathe more deeply so it can get the oxygen it needs to create and sustain energy. At the end of the day acknowledge what you have achieved. Give yourself a score out of 10. Reflect on the quality of your day end energy. Give yourself a score out of 10. Compare the scores to understand the energy cost required to achieve your to do list. Ask yourself, is my approach more akin to a sprint than a medium-long distance run? In making changes remember: Do not give up. Change happens over time, it is a process. It may involve three steps forward, one sideways, possibly a half step backward, before you move forward again to improve your approach to energy management.